Funding of cloud computing companies is showing no sign of abating this year. A few weeks back we rounded up 5 other cloud companies that scored a combined $175 million from investors. And last week, Silicon Slopes, Utah’s Domo, whose 5-years-under-wraps cloud-based business intelligence technology was finally formally announced, said it had closed Series D funding of $200 million, bringing its total valuation to around $2 billion. Among this week’s headliners was Docker, whose $95 million in Series D funding brings to $160 million the total it has raised in the past couple of years. Docker is hot: its Linux-based containers enable application virtualization, which makes for more flexible development and distribution of programs across networks and the cloud. Microsoft, IBM, Cisco, Amazon Web Services and VMware are all supporters of Docker technology (FYI, there is Docker the open source project and Docker the company, which is commercializing the technology from the project). Docker claims that its Hub Enterprise is being beta trialed by “a number of Fortune 100 companies” and will be made more widely available this quarter. Though that’s not to say Docker has a clear path to more riches and success: Container start-up CoreOS also just grabbed funding – from Google. Cloud security is a huge draw for startup investors of late, and three companies this week announced fresh funding rounds. Data center/cloud security company Illumio, as colleague Tim Greene wrote about this week (“Illumio goes to the well for $100 million more in venture funding”), reaped $100 million in funding that it plans to use for R&D, new offices and customer outreach. *Tray.io: Some have described this newcomer, which pulled in $2.2 million in seed funding in a round led by True Ventures, as a sort of IFTTT for enterprise SaaS apps. IFTTT, if you don’t know, is a popular tool for integrating consumer apps, with the idea being IF THIS happens THEN THAT should happen. Or as Tray.io says, it’s on a mission to make working with APIs easier. Currently, Tray.io’s technology is in private beta testing, though you can sign up on their site to get updates. Tray.io’s integrations run in yes, its Docker runtime engine, making those app links transferrable to customers’ data centers or third-party cloud services. *Vlocity: There always seems to be at least one company every time we do one of these roundups that got funding from and has built its business on the Salesforce platform, and Vlocity is it this time around. The company reined in a $42.8 million round of funding led by Salesforce Ventures. Vlocity has a rich history in business software, with its executives roots at companies such as Oracle and Siebel. 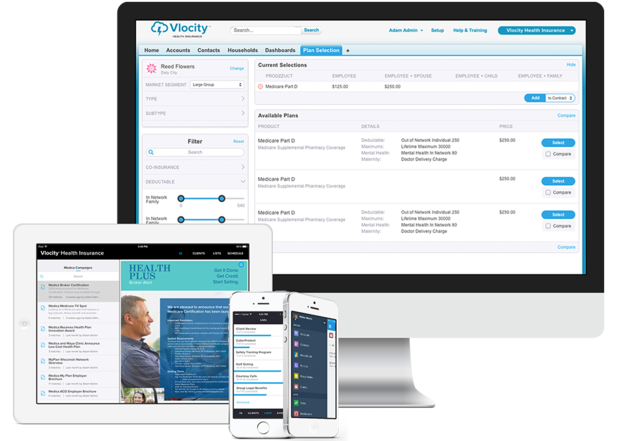 Vlocity’s mission was “to build the world’s first multi-industry cloud software company on the Salesforce1 Platform,” and indeed it has delivered apps in four markets to date – communications/media/technology, health insurance, insurance and public sector. *Appirio: Calling this San Francisco-based company a startup might be a stretch – it’s been around since 2006 and has blossomed into a global cloud consultancy with 5 worldwide locations and big name partners such as Google, Salesforce and Workday. This week Appirio announced $35 million in Series E funding, led by Fidelity Management & Research. CEO Chris Barbin writes on the company blog that the new funding will be used in part to give customers and partners more access to its internal services platform, which complements the crowdsourcing community of designers, developers and data scientists that customers currently tap into. What’s more, Appirio announced it has hired Alex Castro, former VP of Electronic Art’s cloud-based data and analytics platform, as its new CTO. This story, "8 cloud companies to watch following MONSTER funding week" was originally published by Network World.